Neuropathy is a common disorder that stems from damage to the peripheral nerves, especially those that branch out through the arms, legs, fingers and toes. Neuropathy symptoms include weakness, numbness, tingling, and burning or painful sensations. What are the causes of neuropathy? Diabetes is a frequent cause of neuropathy, but peripheral neuropathy can also be due to toxic trauma (such as from chemotherapy) or mechanical injury, as with carpal tunnel syndrome. It can be caused by putting pressure on nerves, such as the prolonged use of crutches, or even by sitting in the same position for too long. Disorders such as atherosclerosis, autoimmunity, advanced kidney disease and hypothyroidism may also be to blame, as well as certain drugs or environmental toxins. What is the conventional neuropathy treatment? Conventional treatments include tricyclic antidepressants such as amitriptyline (Elavil, Endep) and imipramine (Tofranil). These drugs act on the central nervous system and may reduce pain independent of their action as antidepressants (do not expect immediate results; it usually takes a few weeks for them to bring relief). Common side effects include drowsiness, dry mouth, urinary retention and dizziness. Anti-seizure medications such as phenytoin (Dilantin), carbamazepine (tegretol) and gabapentin (Neurontin) are also used effectively for peripheral neuropathy. If neuropathic pain is due to compression of a nerve by a tumor or a ruptured disc, surgery may be recommended. What neuropathy treatment and natural remedies does Dr. Weil recommend? Take one B-100 B-complex vitamin daily. The B vitamins are necessary for normal nerve function, and supplementing is a good preventive measure. Do not take more than 200 mg of B-6, as higher daily doses can actually cause symptoms of neuropathy. Take 100 mg of alpha-lipoic acid daily. This antioxidant protects microcirculation to the nerves. You can gradually increase the dose to 300 mg twice a day over the next month. 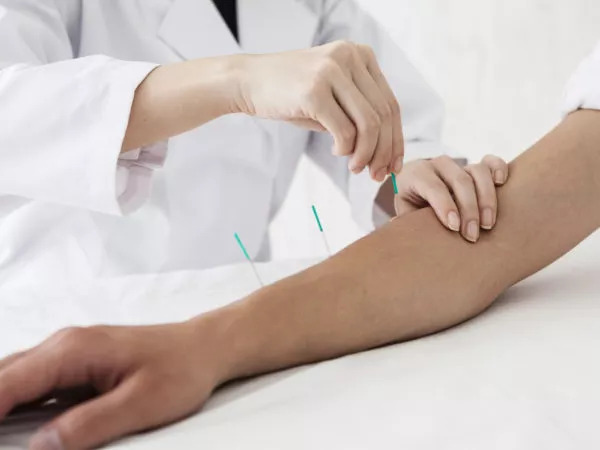 Acupuncture can help relieve peripheral neuropathy pain. Additionally, a practitioner of Chinese medicine can provide you with herbs that may speed recovery. You might also try reflexology for neuropathy of the legs, feet and toes. If a toxic exposure is the cause, time is your greatest ally – injured nerves will slowly recover, as long as the exposure has stopped.